FlashBack Triple Delay, Delay/Echo/Phrase Sampler for Guitar from TC Electronic in the TonePrint series. The Flashback Triple Delay has a X4 format with four footswitches. The first three enable the delays, each with its time signature and sound type (analog, space, tube, tape, 2290, slap, LoFi, reverse…). Delay generation is simultaneous and synced and the delays can be used in series or parallel. The fourth footswitch is assigned to Tap Tempo. 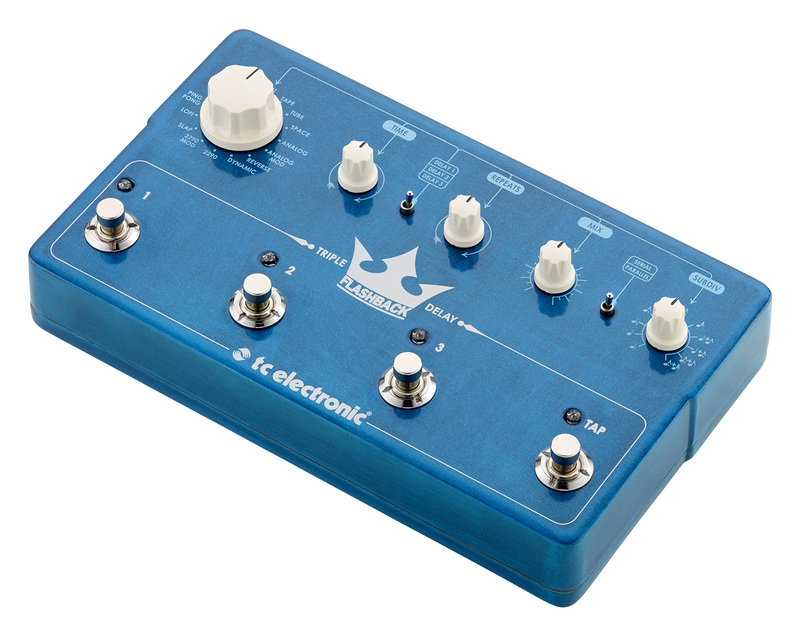 TC Electronic included 12 delay sounds and you can add 4 TonePrints presets. The pedal is compatible with the free TonePrint Editor and the downloadable artist presets. 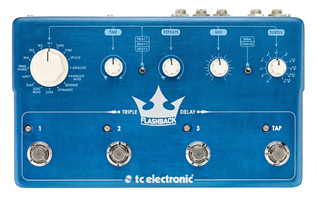 The Flashback Triple Delay operates in stereo and received MIDI In and Thru. The pedal will be available at the end of October, 2014 for the suggested price of 299€. 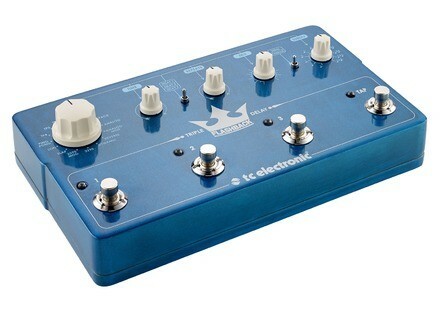 More info at www.tcelectronic.com. Electro-Harmonix introduces Pitch Fork Pitch Fork, Electro-Harmonix’ new effect pedal, is a polyphonic pitch shifter that can triple the sound of your instrument. Lâg launches the Roxane Master 1500 Lâg introduces a new edition of its Roxane guitar, the Master 1500, entirely manufactured in France. The Slash Rosso Corsa Les Paul now at Epiphone’s Epiphone is now offering a more affordable version of the Gibson Slash Rosso Corsa Les Paul electric guitar, but in limited edition.